Phillip Jeans was born in Sydney and educated at Newington College and Sydney University with medical student training at Royal Prince Alfred Hospital. He spent 8 years in Newcastle becoming a surgical specialist then spent 6 years in Adelaide doing “super” specialist training in Upper GI/Hepatobiliary and Pancreatic surgery and helped to set up the liver transplant unit at Flinders MC. He completed training in gastroscopy and colonoscopy as well as learning ERCP at Flinders MC. He also studied for a PhD at Flinders University and did basic science and clinical research. He was instrumental in introducing modern laparoscopic surgery to Flinders MC. After some intensive training in the USA he did the first laparoscopic cholecystectomy, first laparoscopic appendicectomy and first laparoscopic antireflux operations at Flinders MC and taught these techniques to many other surgeons. In 1992 he was head hunted to Canberra to introduce these operations into the Canberra Public Hospitals. He has been a trauma surgeon and was a senior instructor in the College of Surgeons trauma courses. He has taught students from Newcastle University, UNSW, Flinders University, Queensland University, Sydney University and the ANU, receiving an excellence in teaching award from the ANU. 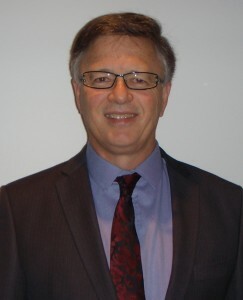 He has served on many committees and was Chairman of the Medical Advisory Committee at The Canberra Hospital in the 1990’s.